SAP recently released a new accelerator for the airline industry named “Travel Accelerator.” Below are my personal insights after examining the product. Let’s go over the accelerators concept in hybris. Simply stated, there are three basic layers in hybris: a Platform, an E-commerce Layer, and Accelerators. Travel Accelerator was introduced by hybris in June 2016. It is already available for download for SAP partners. Travel Accelerator is a great foundation for creating full-featured booking systems for small and medium-size transport service providers such as public transit companies or airlines. Travel accelerator: is it for all travel industry? Travel Accelerator is a great product, but its name is misleading. In my use of the product, I have found that the tool isn’t designed for travel agencies or tour operators. I personally think that this accelerator is much better suited for budget or low-cost airlines rather than global airline companies. It certainly could be customized to fit everything the client wants, but a lion’s share of customization work will not be leveraged by the product. Travel Accelerator is designed for transport service providers rather than travel agencies or tour operators (you wouldn’t guess this from the title). Travel Accelerator is a single source of record for tickets (like orders in B2C e-shops). All flight schedule information as well as all possible routes, segments and prices are to be loaded into the system. There is one crucial difference from the solutions used by travel agencies and other intermediaries: Travel Accelerator is not designed to work with GDS or CRS systems, such as Amadeus, Travelport, Sabre or Pegasus. These systems are commonly used by travel agencies. They generally do not provide raw information, while travel accelerator does use this data. For example, airline companies pull this data from the Passenger Service System and Departure Control System. For travel agencies and other “external” companies, this data is not exposed. The simplified diagram of the booking process is below. Travel Accelerator is built on top of hybris Commerce. This allows you to reuse modules from B2C and B2B accelerators (as well as from the commerce platform) in TravelAccelerator-based projects. According to the design, you will need to define routes, which consist of segments and in turn consist of SOLR-indexable transport offerings (transport schedules/timetables). Transport Offerings represent all available timed flights in the calendar. SOLR is used as a power search tool across millions of offerings. There are fare products (e.g. tickets), ancillary products (e.g. additional services), and accommodations (e.g. seat groups). It is interesting that TransportOffering internally extends B2C Warehouse. If you book a ticket, these products are reserved on the “warehouse” which is TransportOffering. In a similar way, the ticket availability is calculated. There is a hierarchical structure of the available accommodations for the specific vehicle. For example, the number of rooms in the hotel or seats in the aircraft is limited; they have different prices and comfortability levels. These products have prices which can also depend on routes, segments or transport offerings. Transport facilities (e.g. airports) are linked to the hierarchical locations (Region->Country->City, e.g. Europe->Germany->Berlin). There are activities, which are basically events, linked to the locations and transport facilities. Travel Accelerator uses hybris out-of-the-box configurable bundles, functionality represented by configurablebundleservices. 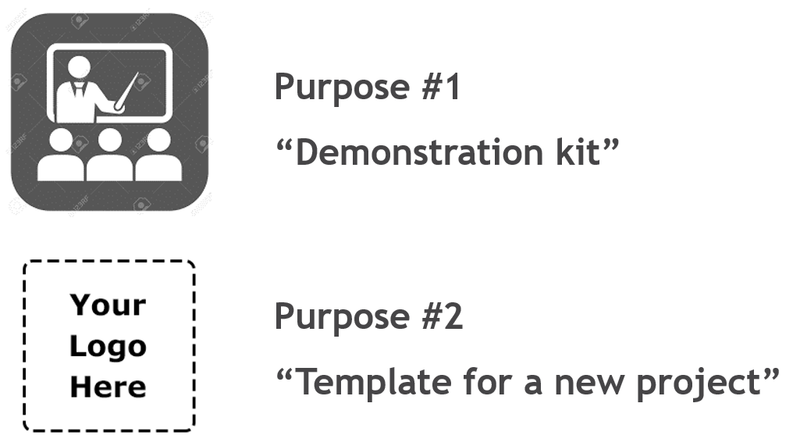 Using the bundle template functionality you can create comprehensive product bundles. There are customers (bookers) and travelers/passengers (ticket holders). Order items and consignments comprise the products ordered (fare, ancillary, accommodations). Comprehensive checkout is a way to enrich an order, for example, you may want to add ancillary products or specify the data needed for the reservation and price calculation. A promotional trip must include a Saturday night stay. If there is not a Saturday stayover, this trip will be discarded and removed from the delivered results. The number of days between ticket dates should be less than 4 days in order to call the trip “a minimum duration stay.” Some fares require you to stay in your destination a certain amount of time. There is no rule builder (similar to the one hybris has for promotions) to create the rules interactively. Rules are text files. Stock levels are used in the checkout process to prevent overselling of products (including fare and ancillary). Check-ins trigger a business process that performs a simple auto-allocation. There is a trip finder, which is a list of events redirecting you to the right search form with the pre-filled route data. No origin and destination open-jaws. The itinerary is covered by a single ticket which involves travel in two geographical directions. The origin is not the same as the final destination or the origin is the same as the final destination but there is a break mid-way. No preferred time of day selection in the search form (morning/evening). Can be easily added. No age selection in the search form (adults/children/age groups). Can be easily added. Airport selection is required. There is no “any airport in the area” search. No out-of-the-box ground transportation support. However, you can add it because the data model has some foundation for it. No out-of-the-box accommodation reservation support (hotels, restaurants, leisure centers etc.). In the default package, only transport services are supported for booking. However, the components of the system can be leveraged for these types of booking systems. No special algorithms to determine potential routes between the origin and destination location. All routes should be predefined (loaded to hybris from the external source or created in hybris). No out-of-the-box rule builder to create the rules interactively (similar to the one that hybris uses for promotions). Rules are text files. Travel accelerator needs some changes to work with hybris 6.1. It was designed for 6.0 that is not fully compatible with 6.0. BTG in 6.1. Remove the BTG filters or include the BTG modules. Also take into account that there is a dependence travelservice->commercesearch that was not declared in extensioninfo.xml. If commercesearch is loaded AFTER travelservice, SearchResponseConvertors returns the wrong type (ProductCategorySearchPageData instead of TransportOfferingSearchPageData), that leads to the ClassCastException. So you need to set the dependency explicitly in extensions.xml. The data importing process merges the current date with the schedule from the data files. If you run this process in the evening, most or all of flights on the schedule are in the past and Travel Accelerator doesn’t work at that time because of no available flights. First of all, thanks you for this analysis. I think it’s helpfull. I have a question, in hybris help web (https://help.hybris.com/6.0.0/hcd/19f64dc87f3a465681f8061eb532881e.html) SAP afirm that travel accelerator can integrate with amadeus, etc. Is it really truth? Well that’s all so thanks in advance and thanks again. This is Jason from China and I am leading one team to implement the first Hybris TA project in the world, and we almost finish the project. we have met the issues you specified and we fixed some. Looking forward to talk to you regarding the details if you want. From your statements, I would say Travel Accelerator 2.0 is exact what you want. One exception, open-jaw is not supported yet. Regarding integration with 3rd-party GDS/PSS, such as Amadeus/Travelport…, it’s not part of Travel Accelerator, we do have to do the integration in backend data sync, booking process and so on.